LCC K-9 Comfort Dogs are friends who bring a calming influence, allowing people to open up their hearts and receive help in times of need. 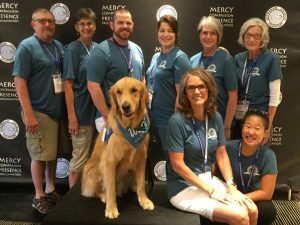 Nicodemus Comfort Dog is the official LCC K-9 Comfort Dog for The Rock Lutheran Church- Seward, Nebraska. He interacts with people at churches, schools, nursing homes, hospitals, events, and in disaster response situations. A dog is a friend who brings a calming influence, allowing people to open up their hearts and receive help for what is affecting them. Where would you like to have Nico visit? Date and time you would like him to visit?